I think the pictures below speak for themselves. This winter has just been so lovely. 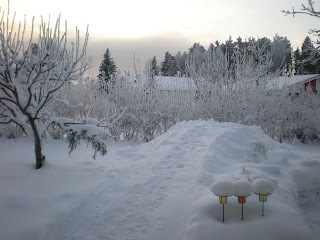 I can't remember the last time we had such a winter wonderland, at least not in Helsinki. Helsinki is located by the sea, so usually we don't have that much snow over here. But this year it's different. I know that some people are already getting tired of the cold weather and wishes the winter to be over soon, but I just can't help wishing that it'll last for a bit longer. It's just so beautiful. November and December are usually so dark that it feels hard to be happy, but in january and february everything changes, the sun is shining a lot more. 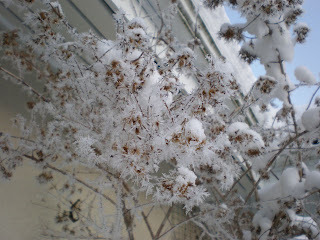 The other day, when it was almost -20° in the morning, I didn't mind the cold at all. In stead I was very pleased with the sun shining from a clear blue sky and I could feel it warming my dark blue jeans while I was waiting for the bus. And that's what I love the most about this season: the contrast between the blistering cold and the gentle, warming sun. 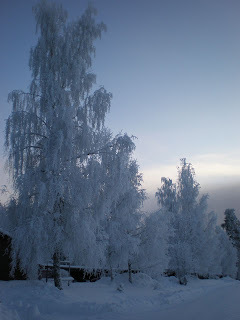 The following pictures are an attempt to catch on camera at least a small fracture of the winter wonderland in Finland this year. 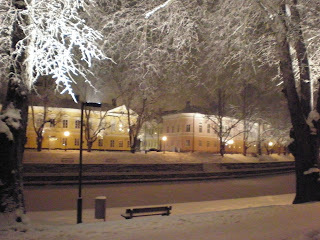 The first one is from Turku and the other ones from Virkkala where my parents live. My god, I would die in soo much snow.. It was cold in Delhi this year, much colder than it usually is.. But this is insane.. I mean when it was cold in Delhi, I never felt like waking up and going to office.. 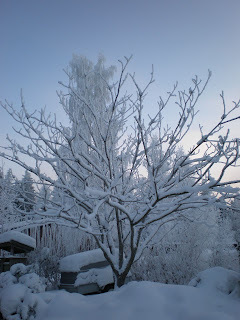 Unlike Finland, we don't have central heating or insulation in our homes because it gets very hot in summers.. But I know what you mean by sunshine falling from a clear blue sky.. I love when that happens.. Because of pollutions a clear blue sky is rare in Delhi too..!